Former world No. 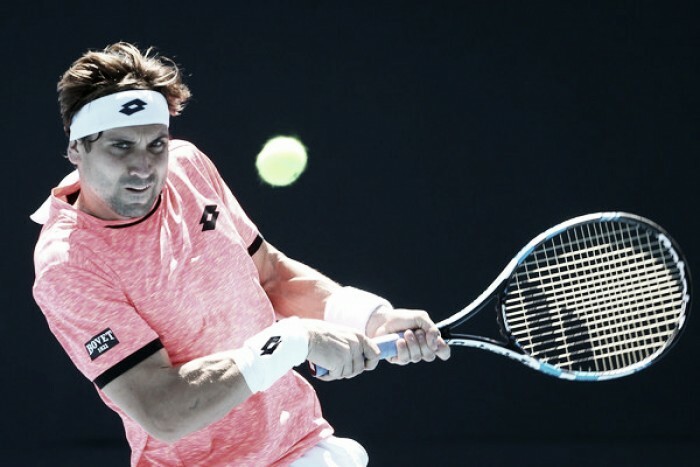 3 David Ferrer is set to appear at the Millennium Estoril Open after being offered a wild card, according to reports. The Portuguese event is set to happen in early May. Ferrer is poised to star at the event for players in the ATP 250 category. The Spain international was a rave from 2007 to 2011 before reaching the final of the French Open in 2013. He won the World Tour finals in 2007 and he saw successes in the BNP Paribas Masters and Davis Cup. He is a clay court specialist but he is currently on a poor run. Ferrer’s career win-loss record is 696-339 but this year it stands at 3-7. His victories have come in hard courts. His appearance at the Australian Open was brief, exiting in the third round. Kevin Anderson saw him off in straight sets in Barcelona but he is relentless. The Estoril Open would have stars like Richard Gasquet the defending champion, Juan Martin delPotro, Nick Kyrgios, Albert Ramos Vinolas and others. Ferrer is likely to be in the top seven seeds for the event at the coastal city in Portugal. “David Ferrer is a historic player for the Spanish tennis… he won 26 titles on every surface, reached the final at Roland Garros and won the Davis Cup serving his country. We couldn’t stay indifferent to his appeal, knowing that he is going to fight a lot and the Spanish audience is a usual presence at the tournament,” the tournament director Joao Zilhao said as Ferrer appealed for a wild card. Ferrer is in the top 40 in the ATP rankings. A decent finish would boost his confidence in the rest of the clay court events.